The biggest toy event in North America happened this past weekend. It's the New York Toy Fair and it offers over seven football fields worth of play things from around the world, from companies small and large, all wooing buyers, reporters and bloggers with the hopes of being one of the hottest toys of the year. Whether intended or not, the Toy Fair sets the stage for toy sales for the whole year ahead. By the end of the Toy Fair we pretty much know what toys will be the hottest toys for the upcoming holiday season and what the big trends in toy making will be. So, I'm psyched to share with you my favorite toy trends of 2016 and the toys that match. I spoke with Isabel Carrion-Lopez, a TIA Toy Trends Specialist. The TIA is the Toy Industry Association. It's been around since 1916, and is the host of the Toy Fair. If they don't know what's going on in the toy world, no one does. "Toy Industry Association™, Inc. (TIA) is the not-for-profit trade association representing all businesses involved in creating and bringing toys and youth entertainment products to kids of all ages. TIA's more than 900 members account for approximately 90% of the annual U.S. domestic toy market of $22B"
Here are the trends that they are calling out for 2016 with my favorites first! STEAM stands for Science, Technology, Engineering, Art and Math. 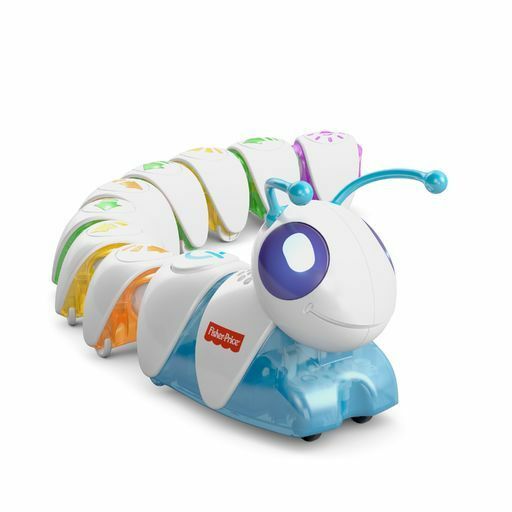 These toys that teach have been a growing piece of the toy industry and this year they are focused on helping the youngest kids engage with simple coding and programming. I was completely blown away at how rad these toys are. This loveable little guy comes with 8 segments that plug into each other with usb plugs. Each piece does something different and by arranging the segments, you determine where he goes and what he does, in what order. You can meet the code-a-pillar here but he won't be available until Fall 2016. He's for ages 3+ and will sell for $49.99. 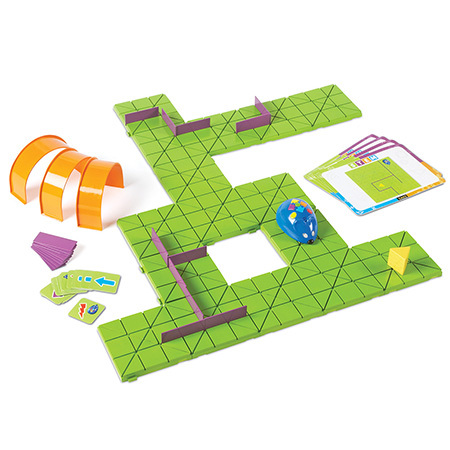 Build your maze, and then use the coding cards to create a step-by-step path for the Programmable Robot Mouse. This is the only coding that uses paper cards to help you lay out your code before programming the robot. It's so satisfying to follow your code cards as the robot acts them out. This 83-piece set is for ages 5+ and will sell for $59.99 when it comes out this summer. Robots and high-tech friends are taking a more active role in kids' lives now. We're not talking about toys that know your name, we're talking about toys that learn with you, teach you, grow with you and play with you. It's pretty amazing. 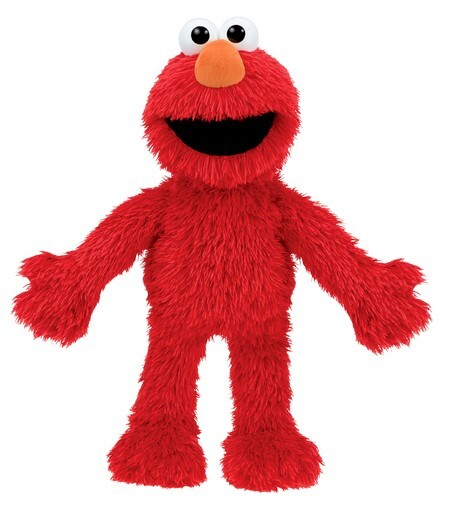 This latest and most high-tech and cuddly Elmo teaches a love of learning that will grow with your child from around 18 months through age 4+. He has fun games, three learning stages, five subjects like letters, shapes and animals, and also "parent helpers" where Elmo offers guidance and support on things like cleaning up and potty training. I guarantee he'll teach you a thing or two, too. Of course, he's still ticklish and his belly and hands are musical instruments. He's for ages 18mo+ and will sell for $69.99 when it's out this fall. This cute little dinosaur isn't just adorable. He uses IBM's Watson™ technologies to create a high-tech learning and play experience that doesn't require a screen. They're for ages 5+ and will sell for $99 when they're out this fall. Pre-order is available for $115. "Kids today learn very quickly. Therefore we feel they deserve a toy like a CogniToy that actually keeps up with them with the ability to grow with the child based on how they play with it," explained Donald Coolidge, Co-Founder of Elemental Path. This trend takes DIY to another level. Kids are now inventors who are able to invent their own toys and games. This 3D printing pen lets kids draw and sculpt in mid-air using 3D "ink" that instantly turns from liquid to solid! Kids draw either from their own imaginations or from the 3D guidebooks that are come with each set to create figurines, accessories, buildings and other things that I can't even think of. Ages 8+ from $9.99 to $29.99 depending on the kit. Check out the video. It's available in July. This trend focuses on toys that get the whole family playing together away from screens. These games and toys have options for making play more challenging for the more advanced and easier for the youngsters to level the playing field. For example: dice that advanced players can roll to complete challenges with one eye closed, one hand, etc. or timers that give less time for more advanced players to take their turn. This trend is all about licensed toys from kids' (and adults') favorite movies and TV shows whether in blind bags, big play sets or action figures. Expect to see even more of the most popular characters on shelves this year. There you have it! What toys have you seen that fit into these categories? Please share in the comments for this post.